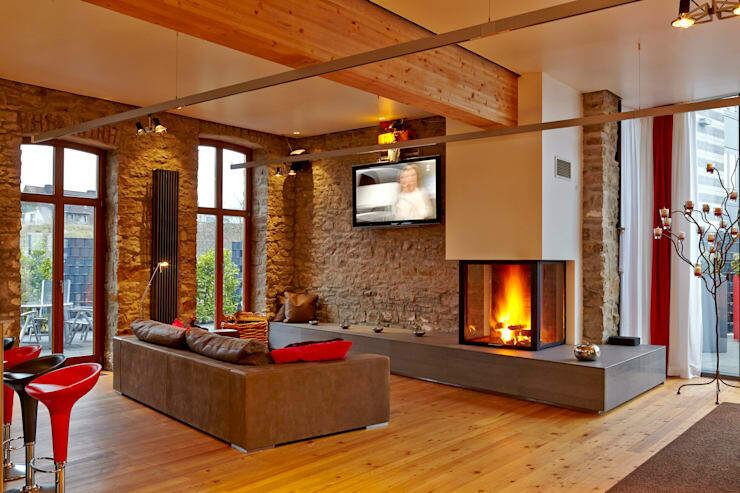 8 awesome ways to add a stone wall to your home! Modern interior design, regardless of how minimalist it is now enjoys and includes natural materials that were mostly reserved for the outdoors. 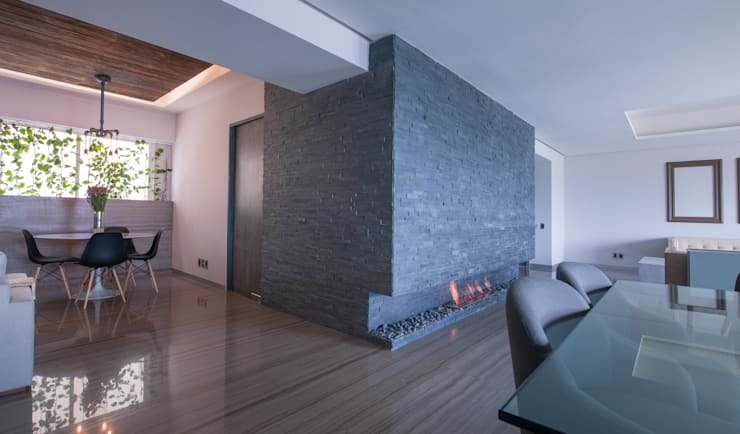 Wood has for a long time conquered the interior design world, however with advances being made in the industry, stone walled interior décor is becoming the new trend. This Ideabook is filled with sensational stone wall ideas to make your home interior look like a designer space, all you need to do is look for the perfect wall in your home. 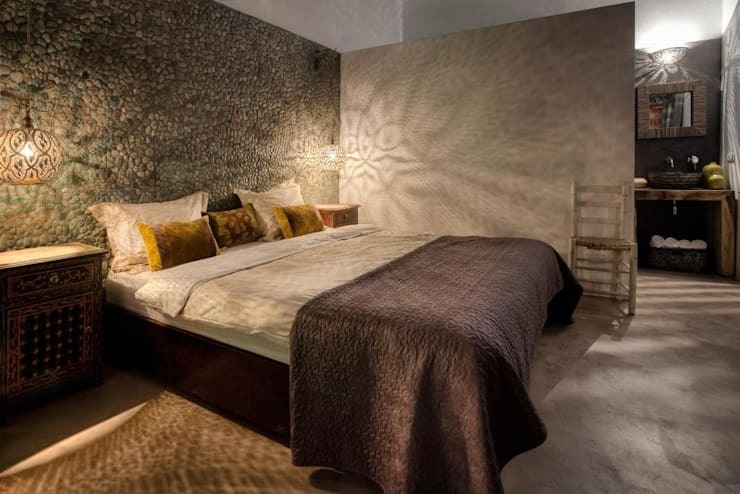 Consider using stone as a fantastic accent wall. This idea will create a striking contrast from the rest of the walls in your home. 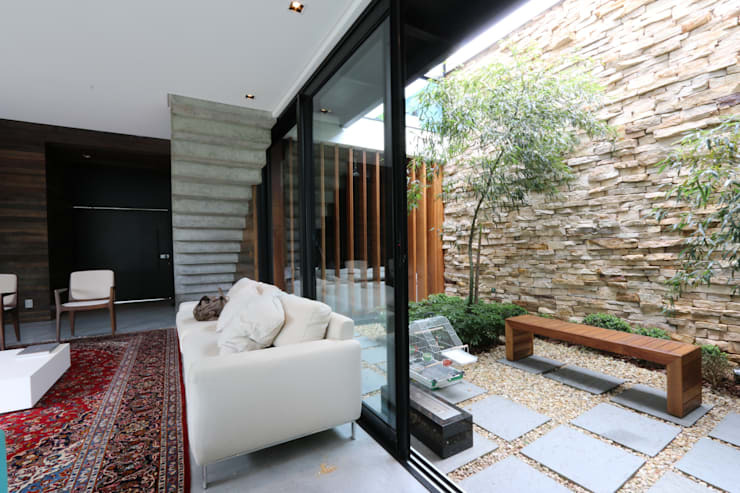 While the architects have opted for larger, natural stones in a variety of sizes, this serves as a modern and stylish focal design characteristic, adding to the ambiance of the home. A stone wall doesn’t have to be harsh and rocky. How about including this décor aspect to your home in a subtler and more sophisticated design? These living room walls are perfectly completed in a neutral toned smooth finish in a neutral tone that simply make this interior elegant and cosy. 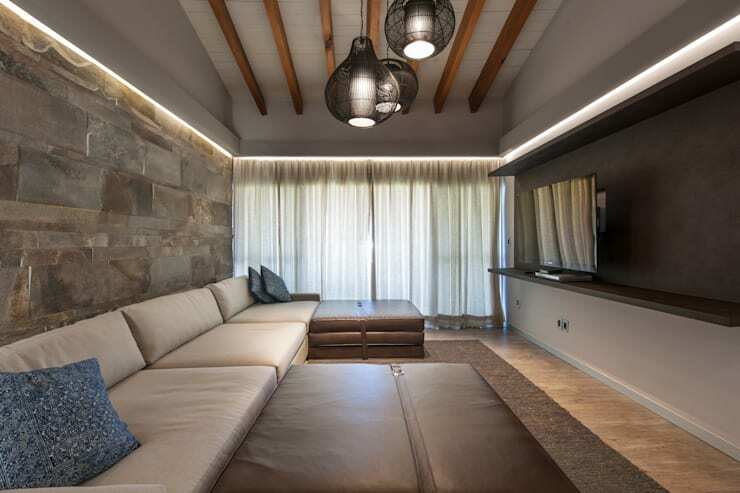 The colours of the large and comfortable sofas along with the minimalist and uncluttered features makes this room a contemporary design option. This décor trend does not only make for a fantastic design idea indoors, stone walls can be used just as well outside. Create a comfortable space in your garden or courtyard by adding this décor option to the façade. Make your home exterior a comfortable place to unwind and relax, now just to add some wooden accents and plants. A modern fireplace in a home surrounded by a contemporary stone wall will add just enough character and style to make this space even warmer, more welcoming and cosy. Your fireplace can now be attractive and eye-catching even when it isn’t lit up! Minimalist décor becomes a stylish statement wall too. If jagged rocks, slate or even smooth cool marble is not your style, then how about creating a calming effect with some smooth pebbles? This idea will make any bedroom harmonious and soothing, now just add some sounds of the ocean or forest and you will have your very own oasis. Some soft candles or mood lighting might complete that peaceful atmosphere that you need. The old rules for making your home a rustic space do not apply anymore. This natural stone wall may be all you need to create a rustic inspired home. The wooden touches, simple elegance and cosy cottage appeal finishes this décor inspiration perfectly! Now just sit back and enjoy the crackling sound of the fireplace. The modern bathroom has done away with the usual ceramics and plastics, opting for a comfortable and relaxing atmosphere instead. 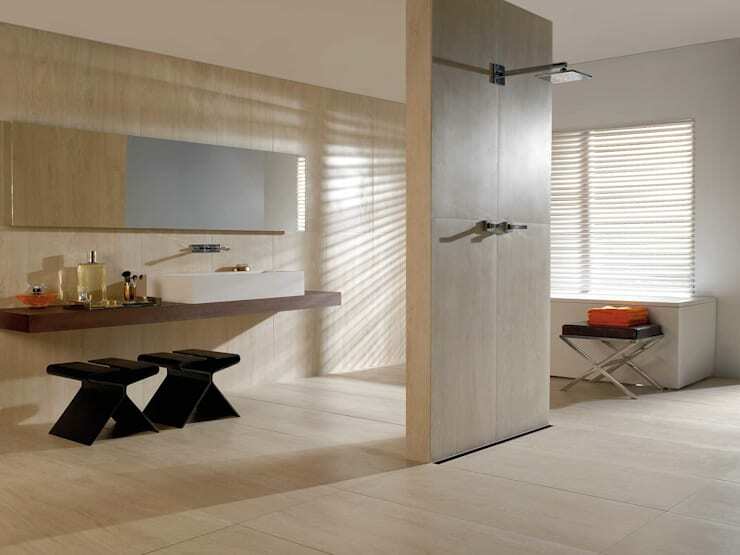 Create a bathroom that exudes luxury with these fantastic natural stone tiles. The neutral colour and perfect layout definitely makes this bathroom a Zen space, you may never want to leave. It's minimalist and effortless in every way. Stone walls as a kitchen décor idea are gaining popularity, this designer approach creates a modern and minimalist space that is effortless and stylish. 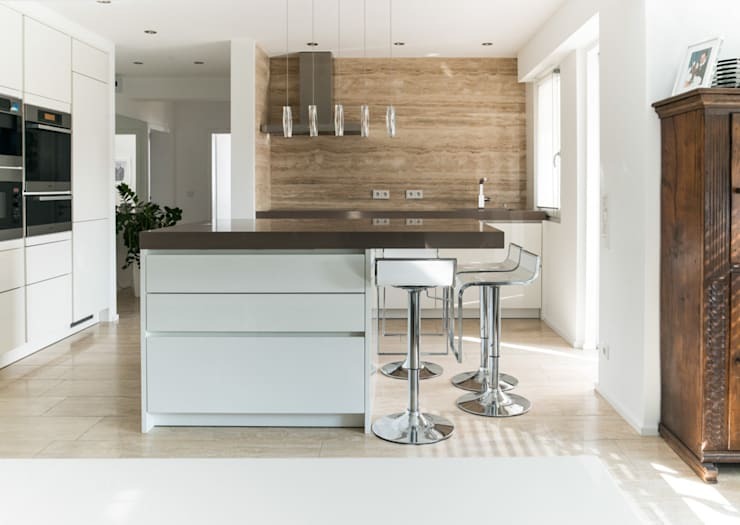 Clean lines and simple colour adds to the trendy design of this contemporary kitchen that is positively elegant from every angle. If you are still stumped for creative walls, then these 14 Super wall design ideas might just be the inspiration you need. 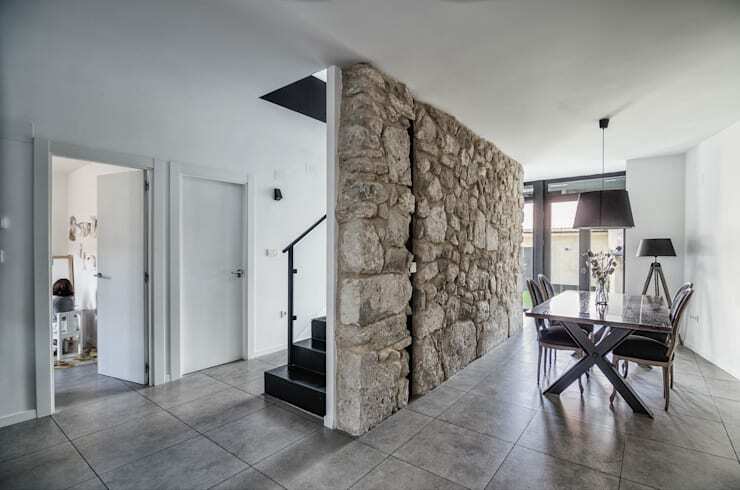 How have you incorporated stone walls in your home?